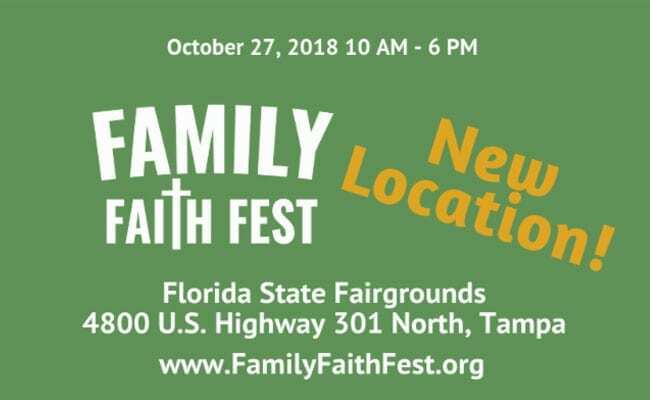 Mark your calendar now to join Bishop Gregory Parkes for the Family Faith Fest at Al Lopez Park in Tampa on October 27, 2018. To celebrate our 50th anniversary, the Diocese of St. Petersburg is offering a music and faith festival that includes Confession, Eucharistic Adoration, and the celebration of Mass. Two stages will feature live music and entertainment. This is a free event, open to all. www.FamilyFaithFest.org.